that starts wth mistletoe and ends with...a duel? 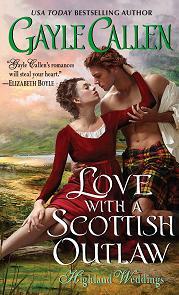 Check out the first chapter of my newest book, Love With a Scottish Outlaw! 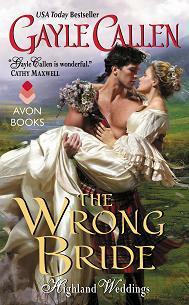 The Wrong Bride is a finalist in the historical category of the National Readers' Choice Awards. Fingers crossed! There are now TWO excerpts up for The Groom Wore Plaid! The first review for The Groom Wore Plaid is in! 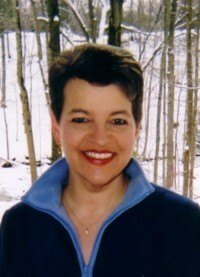 RT Book Reviews Magazine says: "Callen creates wonderful romances infused with the aura of Scotland. This fast-paced story is made all the finer by its engaging characters, surprising intrigues and passionate relationship, compelling fans to read nonstop into the night." 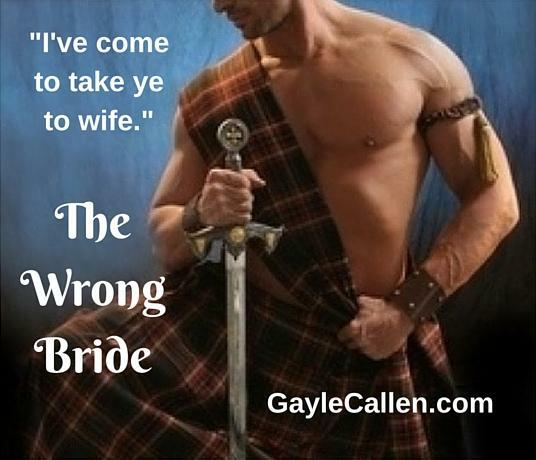 The Wrong Bride, coming in November 2015, will also be available in Germany, France, Italy, Japan and Hungary! Check out the lovely cover! Redemption of the Duke is now available! Hope you enjoy it!